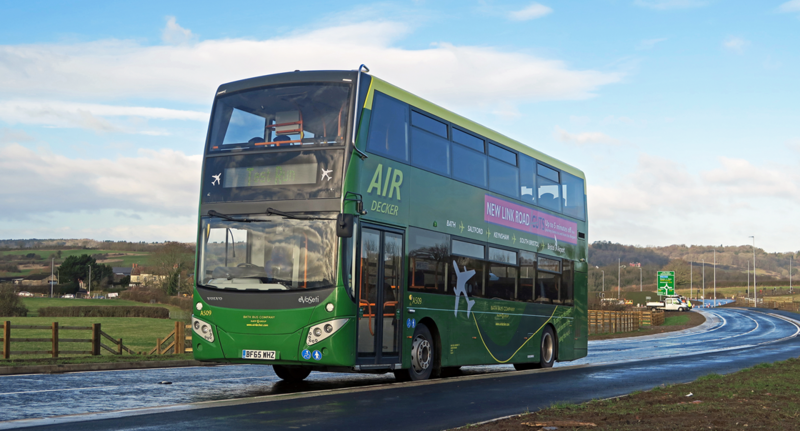 Bristol Airport to Bath: The buses will be diverting via Whitchurch Lane and Bamfield to re-join the route at the junction with Airport Road. This means we will not be able to serve the Hengrove Leisure Park bus stop during the road closure. The service will be using all temporary bus stops on Whitchurch Lane and Bamfield. Bath to Bristol Airport: The route will remain unaffected. Please note: Hengrove Way will be open as usual Saturday, 4th August and Sunday, 5th August. This entry was posted in Uncategorized on July 26, 2018 by Connor Flavell. Airport Road will be closed between the hours of 20:00 and 06:00 from Monday 23rd July until and including Friday 27th July 2018. Below is how the road closures will affect the Air Decker service during these times and dates. Bristol Airport to Bath: All departures between the hours of 20:00 and 06:00 will not be able to serve the Hengrove Leisure Park or Beechmount Grove bus stops. Bath to Bristol Airport: All journeys will remain unaffected. This entry was posted in Uncategorized on July 20, 2018 by Connor Flavell. Airport Road will be closed between 20:00 and 06:00 from Monday, 16th July till Friday 20th July inclusive. All departures from Bath during the hours above will not be able to serve the Hengrove Leisure Park or Beechmount Grove bus stops. Please note that all departures from Bristol Airport will not be affected and follow the normal route. This entry was posted in Uncategorized on July 13, 2018 by Connor Flavell. Hicksgate roundabout will be closed Wednesday 11th, Thursday 12th and Friday 13th July between the hours of 20:00 and 06:00. This means that the 04:00, 05:00, 19:30, 20:00, 21:00, 22:00, 23:00, and 00:00 departures from Bristol Airport to Bath will be unable to serve any stops between Hicksgate Roundabout and Keynsham Church on the nights of the 11th, 12th and 13th July. Journeys from Bath to Bristol Airport will be unaffected by the roundabout closure. This entry was posted in Uncategorized on July 10, 2018 by Connor Flavell.